To kick off our Valentine’s Day gift guide, we’re starting with something that will put a smile on any horse lover’s face. 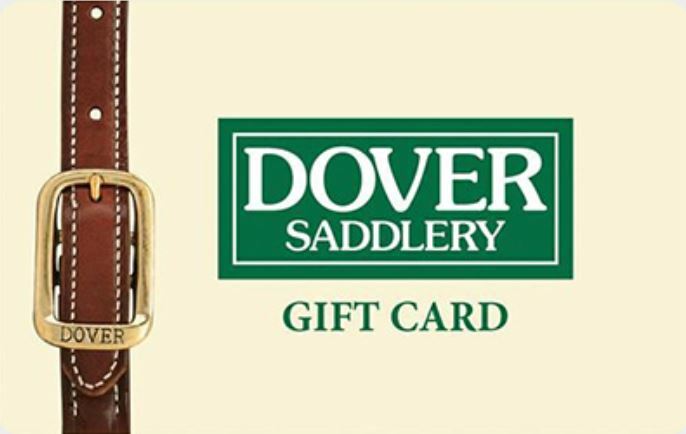 With a Dover Saddlery gift card, you show your equestrian sweetheart just how much you care by gifting them a shopping spree of over 6,000 carefully selected items, including the finest tack, riding attire, and horse care and stable items. The best gifts are those that remind us of our loved ones, no matter where we are. Dover Saddlery Rustic Marlin Rustic Blocks look great on your desk, mantle, or even in your tack room. Handcrafted in Massachusetts, each piece will have its own unique touches. 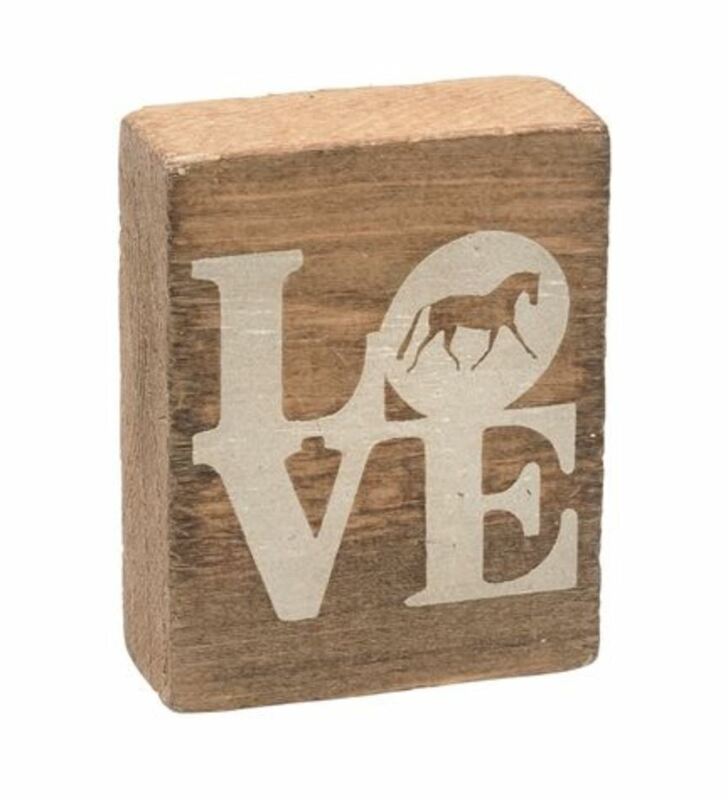 The Love Rustic Block is the perfect addition to any horse-themed romantic gift. Our next pick will make your heart – and your hands – happy! SSG® Gripper® Riding Gloves are equipped with rubberized grips and hook-and-loop wrist fasteners to ensure that you keep a firm grip on your reins through every ride. 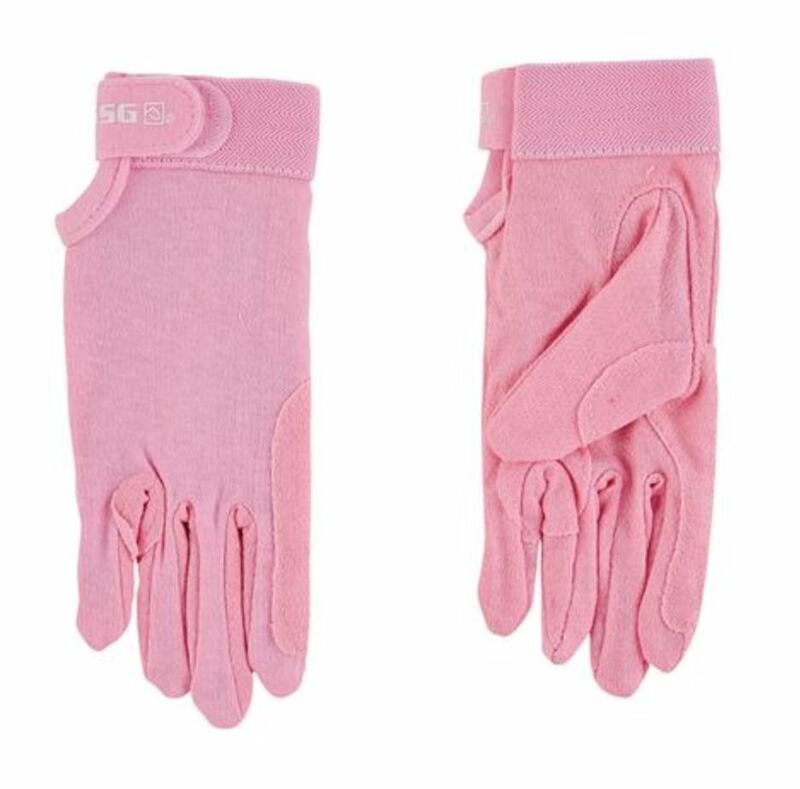 And, these lightweight and comfortable gloves don’t skimp on style; they come in the perfect color for any occasion. Our Valentine’s Day favorites: pink, lilac, and baby blue. Show your horse some extra TLC this Valentine’s Day with a treat that is as nutritious as it is delicious. 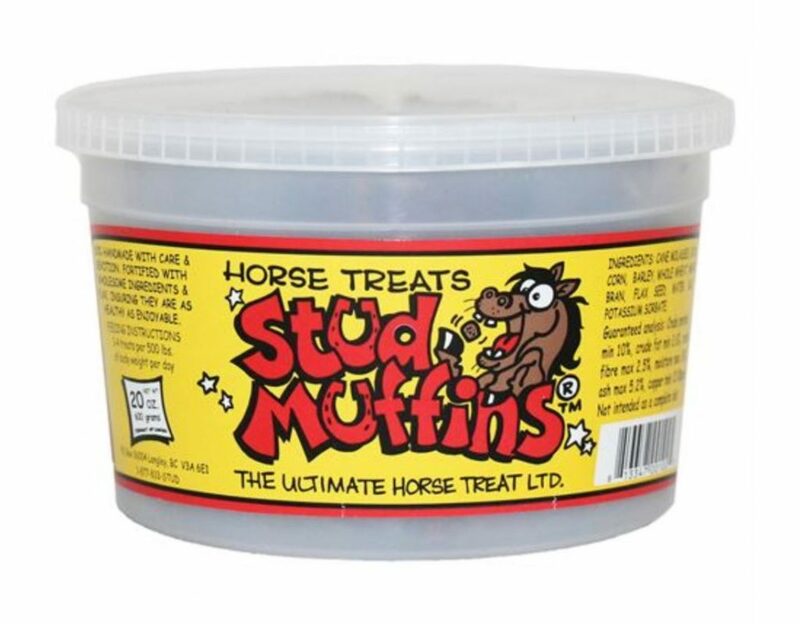 Stud Muffins Horse Treats are handmade lovingly with wheat, oats, barley, and corn for a taste and texture that your horse or pony will love. They are fortified with extra protein and flaxseed to pack in as much goodness as possible; you’ll love giving them as much as your horse loves eating them! Looking for a gift for the young riders in your life? 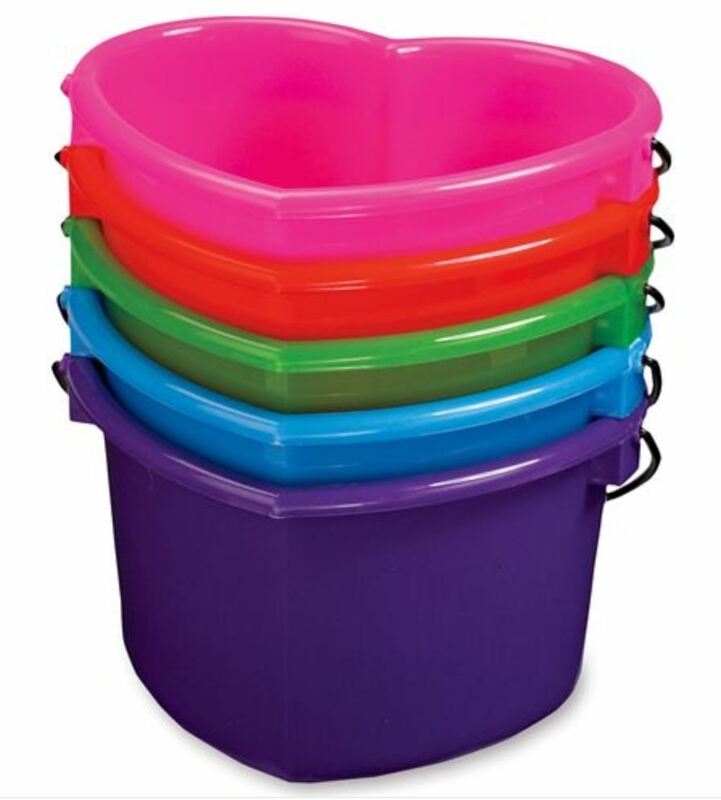 This adorable Heart Pail is perfect for kids, but adults will love it too. Use it to hold treats, brushes, or anything else that your heart desires. It’s just as durable as it is colorful and is guaranteed to put a smile on your face with each use. Our V-day tip: use this pail as a gift basket for even more fun surprises! Your favorite rider is sure to love this plush Dover Saddlery Whimsy All-Purpose Saddle Pad. It’s equipped with a durable cotton exterior and hook-and-loop girth straps. Best of all, it comes in one-of-a-kind patterns that we can’t get enough of. 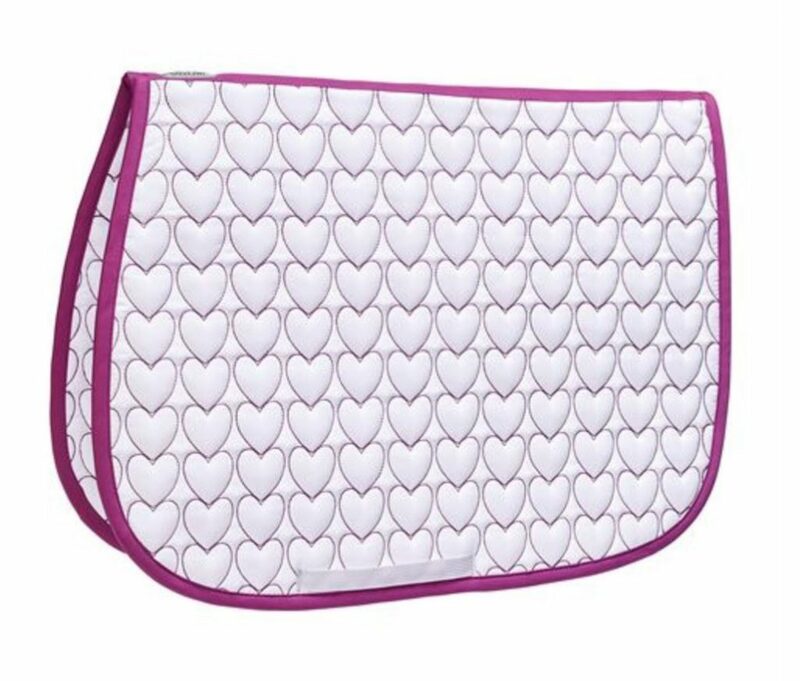 The white saddle pad with pink embroidered hearts is so perfect for Valentine’s Day that you might just have to snag one for yourself, too! Our next pick is for the equestrian who loves to add a little pizzazz to their horse’s look. 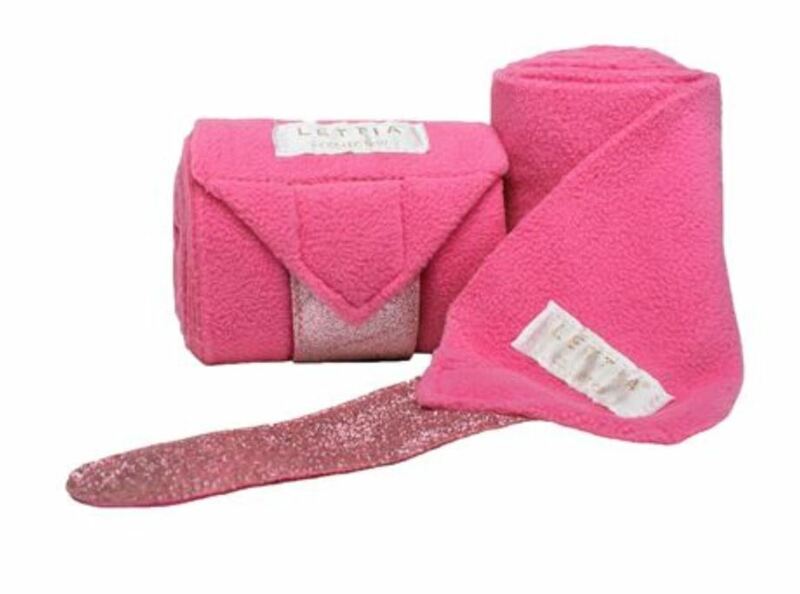 Léttia Sparkle Polo Wraps are made of soft and durable fleece that will conform to your horse’s legs. Glittering fasteners add a pop of sparkle that will shine in any riding ring. You’ll swoon over every color! To make these polo wraps even more special, personalize them with a monogram. Does your valentine woof instead of neigh? Give your very best friend the very best gift with Perri’s Padded Leather Nameplate Dog Collar. 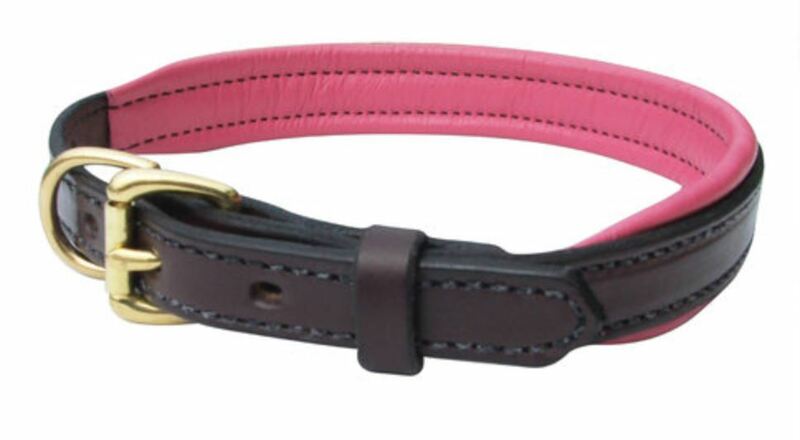 This luxurious leather collar has soft padding to ensure that your good boy or girl is comfortable all day long. With endless color combinations and space to engrave your dog’s name or your phone number, you can’t go wrong! Plus, it goes perfectly with Perri’s Leather Nameplate Dog Leash. Every competitive equestrian needs the perfect dress sheet for those special occasions when you want your horse to look their best. 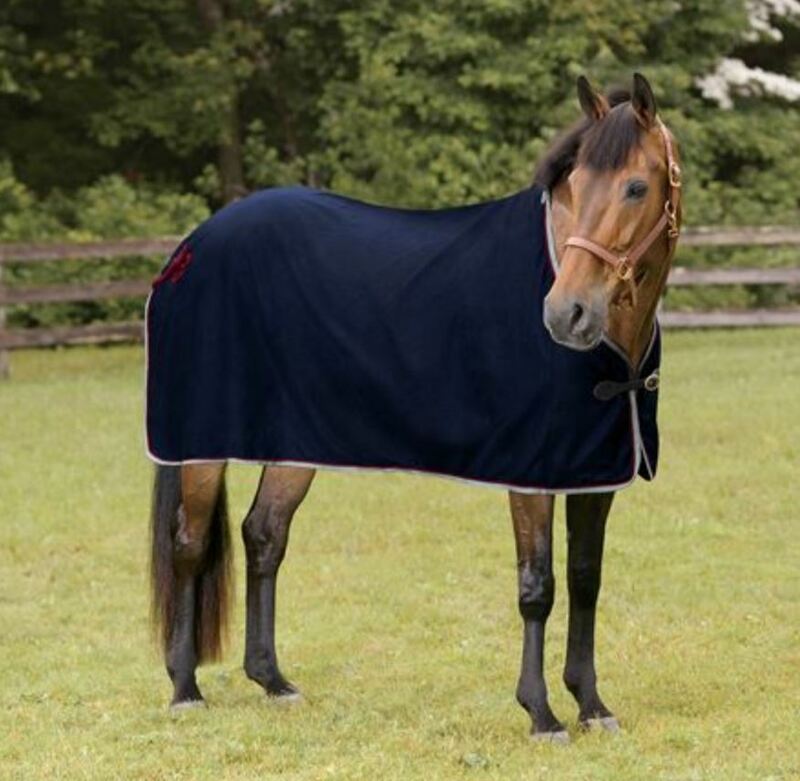 The Dover Saddlery Wool Dress Sheet lets you enjoy custom features at a budget-friendly price, like its classic braided hip ornament, leather front buckle, and soft, coat-smoothing fabric. Choose from four luxurious color combinations and add a monogram to top it all off. Your equestrian valentine will be over the moon! Give your special someone a little extra luck! Our number one Valentine’s Day Gift Pick is… the Kelly Herd Three-Stone Rose Gold Horseshoe Ring. 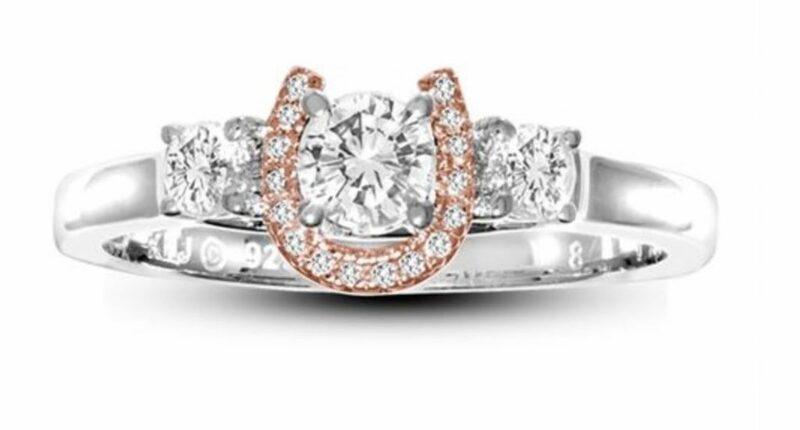 This sterling silver ring is adorned with three sparkling cubic zirconia stones and a rose gold horseshoe for good luck. The band has a protective layer to prevent tarnishing, so your valentine can show off a little bit of their horse passion all year long, everywhere they go. Or, browse all of our Kelly Herd Jewelry online to find the perfect piece for your loved one! Make sure to share your special Valentine’s Day gift with us! Tag your social media post with #mydovervalentine so we can spread the love! This entry was posted in Uncategorized and tagged Dover Saddlery Gift Guide, equestrian gift, Equestrian Gift Guide, equestrian gift ideas, equestrian jewelry, gift guide, kelly herd, Lettia, mydovervalentine, ssg gloves, Valentine's Day, Valentine's Day Gift Guide, valentines gift by Dover Saddlery. Bookmark the permalink.